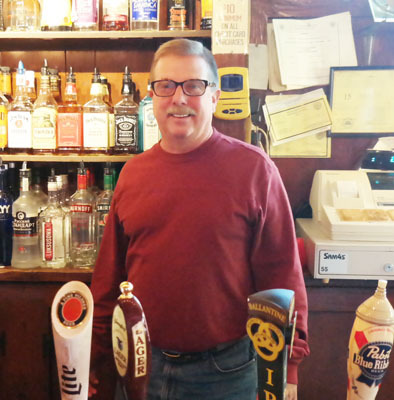 Charles “Chuck” Kovacs began bartending thirty-five years ago at a place called Your Mother’s Bloomers in South Bethlehem. While the bar is no long in existence, it was a popular place in Chuck’s early twenties that helped teach him much about the industry. Wanting to go into business for himself, Chuck purchased Ripper’s Pub from Joseph “Ripper” Rich on February 2nd, 1986. Ripper was a successful tavern owner and loved by many, a man that Chuck has modeled his own ownership after. When Chuck took over the business, the menu consisted of a handful of sandwiches, four draft beers, and one television. As he continued to make changes, Chuck integrated a larger food menu and draft system. He also installed ten TV’s, a video game system, a Jukebox and went from cash-only to accepting credit card sales. In recent years, Bethlehem, Pennsylvania has experienced a cultural renaissance and is now know for their Restaurant Row. With the increased volume of customers in the area, Ripper’s Pub has seen continued growth throughout the years. Known for their Ripper’s Burger, the pub also offers food specials Monday through Friday as well as Happy Hour from 4 PM to 6 PM. Rippers Pub rarely turns down a donation for any charity that they are asked to participate with. That being said, some of their favorites include area Pub Crawls and Golf Outings. Most recently, they supported the Shamrocks Muscular Dystrophy Association, the Bethlehem Charity Circus hosted by local firefighters and the Celtic Classic Highland Games and Festival by providing a free lunch to volunteers. Lehigh Valley Style magazine recently awarded Ripper’s Pub the “Best Dive Bar You Hate to Love.” Be sure to stop by to see all that Ripper’s Pub and Bethlehem has to offer!